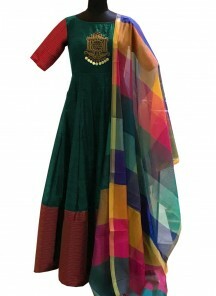 Anarkali Salwar Suits are form of women's dress. 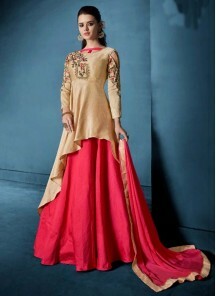 It is made up of long, frock style top and slim fitted at bottom. In India and as well as in South Asia it is very famous. 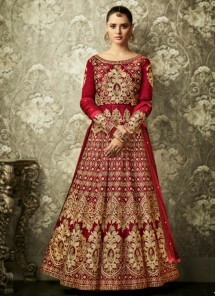 We can find many different varieties of embroidery styles and also different in lengths like floor length anarkali styles. Anarkali suits are named after the fictional Anarkali, who was legendarily murderes for her illicit relationship with the Crown Prince Salim. Though many different styles and colors added to this Anarkali Salwar Suits, the impact of this fashion remain the same across the country. 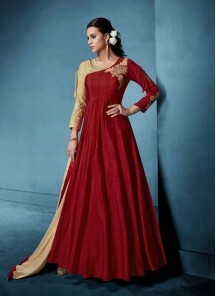 At LadyBaazar it's very easy to buy anarkali salwar kameez online. You don't need to go to market and find one boutique to another for your desired choice. Our online store is made for easy and time saving shopping. 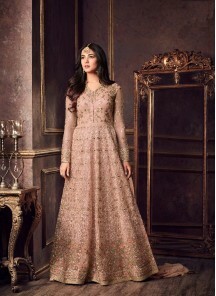 Frequently latest anarkali suit designs are updated and added to our listings. 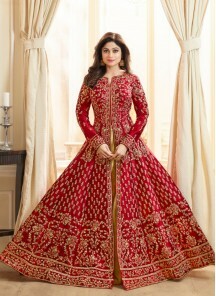 Just apply the filters to your desired fabric and color and choose your best fit designer anarkali suits. 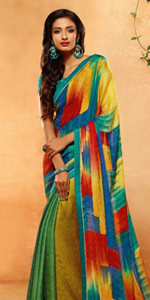 It is available in different fabrics like silk, cotton, pashmina, brasso and georgette with colors like red, blue, green, yellow, white and maroon. What are you waiting for? Juts click and buy your favorite salwar suit for wedding, party wear and traditional event. We provide best quality products and on time delivery with customized stitching which make us unique and we get satidfied customers. Worldwide delivery available at affordable shipping cost. We offer free shipping above orders $400.